It's spot the difference time again! When PO Counters' Horizon software was upgraded to that known as 'Horizon Online' some changes were obvious, as you can see in the left and centre labels below. The service indicator was in a new thinner typeface, and at last was centered on the label. The branch code at lower-right lost it's final digit, and both Royal Mail and POSTAGE PAID UK were in a slightly squatter typeface. Lastly the date changed: the shape of some digits changed, see the 2 and 0, and the format was changed from 00/00/00 to 00-00-00. Now labels have appeared from the Horizon Online system, with all attributes the same except that the date has reverted to the original format - see the third image above. I don't know whether this has affected all machines, the example above is from Taunton. 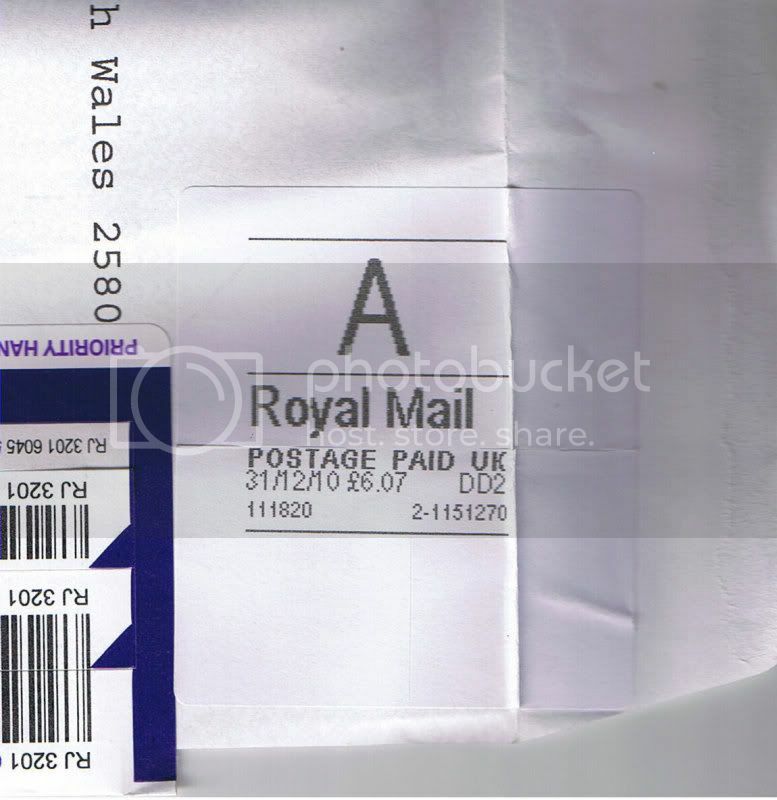 PostagelabelsUK reports an example from Wales where the final 'l' of Post Brenhinol has also disappeared. Please let us know of examples that you see - we need to establish when the system changed, believed to be around the end of December. BPMA - We're not going to Swindon after all.